Our Diving partner runs PADI and IANTD Certified Scuba Diving Courses in Malta all throughout the year. (Sea Temp 22-28 Degrees C & Land Temp 26-35 Degrees C) – We are fortunate enough to have no tides around the Maltese Islands & therefore no Tidal Planning is required. An excellent team of dedicated, experienced & friendly Instructors & assistants ensure maximum satisfaction & safe diving. Scuba diving is offered by the Watercolours Dive Centre at the Sliema Aquatic Sports Club. The PADI Bubblemaker program is an introduction to the thrill of breathing underwater. If you’re eight or nine years of age, now is your chance to take the plunge with a PADI Instructor and try diving safely in the pool or a confined shallow area in the sea. The PADI Bubblemaker course is an introductory certified course aimed at kids who want to try scuba diving in a safe and controlled environment. Dive to a maximum depth of 2m in the crystal clear waters of the Mediterranean. * Receive a super-cool PADI certificate! Start out on the right fin, jump into the PADI Bubblemaker program today! Mums and Dads are more than welcome to join in! We are introducing an exciting possibility for anyone keen to give scuba diving a try. No need to be certified. No experience necessary. This half day course guides you gently into this wonderful and safe sport. Together with an experienced PADI Instructor you’ll first discuss many different topics regarding Marine Diving Safety, Scuba Diving Equipment, Necessary Scuba Diving Skills (Theory & Practice), Marine Life Awareness, Conservation and The Diving Environment. After this very interesting in-depth briefing a pool dive will follow. This is where the student breathes for the first time underwater and learns how to use the diving equipment in the safe, shallow confines of the pool. The student will also further build confidence by performing basic scuba diving skills under the direct supervision of a qualified PADI Instructor. After this first pool dive an Open Water scuba dive will follow where the student simply enjoys a shallow scuba dive in the open sea under the direct supervision of a qualified PADI Instructor. After this half day course the student will be awarded a PADI certification which will allow them to dive anywhere around the world up to a max of 9-12meters provided one always dives under the direct supervision of a qualified Instructor. This is an exciting introduction into the wonderful world of scuba diving. The PADI Open Water Course could be conducted over a three to four day period. During this course the students will be discussing & completing theory & practice sessions, quizzes & video class sessions, as well as open water dives. There is also a final assessment at the end of this course. Once the PADI Open Water course is successfully completed you will receive a PADI certification card which is valid for life & would enable you to scuba dive all over the world provided you keep up the sport & always dive with a buddy & or under the supervision of professional guidance. This course is made up of Five Advanced dives, ‘Three Elective dives & Two Core dives’. At the start of the PADI Advanced Course the Elective dives chosen are carefully selected, discussed & safely planned with the student. The two Core dives in this course are the Navigation Dive & the Deep Dive & must be done. The Elective dives could include some of the following: Boat diving, Night diving, Multi-level, Underwater Naturalist, Search & Recovery, Wreck diving & more. After the PADI Advanced Open Water course is successfully completed you will receive a PADI Advanced certification card which is valid for life. This certification level will enable you to hire or purchase all necessary equipment and recreationally dive, provided you always dive with a buddy, independently from an instructor or diving school. Also by completing your PADI Advanced course you’d have broadened your possibilities of diving nearly any available dive site as you depth limit of 18m (During the PADI Open Water Course) will now be 30m (PADI Advanced Open Water) The PADI Open Water Course & the PADI Advanced Open Water Course are the most popular diving courses in the world. This is the first professional status within the PADI system. The course involves active participation alongside the instructors whilst training student divers in both theory & practice, assisting in Open Water dives & other coursework activities. Prior to certification the candidate will be assessed in waterman-ship & rescue skills & will be required to sit for a theory examination. Professional membership with PADI is extra. 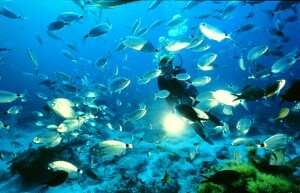 Many dive centres worldwide employ Dive Masters as Dive Guides. A Diving Medical Statement &/or Check Up must be done prior to the start of any diving practice where compressed air is being used. (Maltese Law). If a medical check up is needed then the following doctor’s fees apply. Please Note: All prices quoted are per person and are inclusive of 18% Vat. Course Prices include all necessary equipment, materials, log book, road transport, PADI certification, local taxes and fully qualified diving instructors. Course manuals/crew packs are not included. Do not hesitate to contact us on +356 2125 0520 or info@excelsior.com.mt if you wish to book your Scuba Diving Packages or if you have any queries.